Flexible Savings Account (FSA) season is about to close, and people are hurriedly checking their remaining funds and browsing for FSA-eligible items. While there are many options available, it pays to find a reliable source for quality tools and medical gear that suits one’s lifestyle and preferences. Surviveware, a leading preparedness and survival gear company, offers a number of FSA eligible items that fit the needs and requirements of hikers, campers, and adventure-seekers. The company provides first aid kits and high-quality trauma shears that are FSA-approved. The company’s medical-grade trauma shears are made from bonded stainless steel, which makes the scissors durable and resilient enough to cut through delicate fabrics as well as heavy cloth such as denim and jeans. These shears can also go through bandages, seatbelts, and pennies. With its 7.5” length and angled blades, these trauma shears can be used conveniently on elevated surfaces and surgical tables. Surviveware’s medical-grade trauma shears are ergonomically-designed for perfect grip and fit. Boasting large finger opening and thumb hole, it fits any average-sized hand and can be used conveniently without causing blisters on one’s fingers. Moreover, the shears are blunt tipped which help prevent accidental cuts and punctures on the victim’s skin. 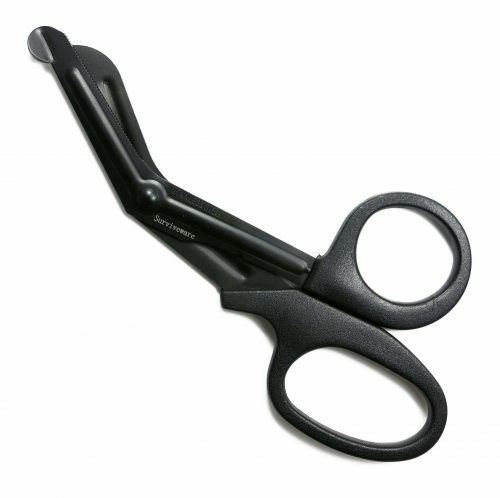 The trauma shears are coated with premium-grade black fluoride, a non-stick coating which makes it easy to cut through the heavy fabric and adhesive bandages. The coating prevents grease, dirt, and glue from sticking on the blade. A must-have for any hiker, camper, hunter, medical professional, and even EDC enthusiast, these medical-grade trauma shears were tested for endurance and durability during varying situations and conditions. Apart from these features, Surviveware’s Trauma Shears are FSA-approved. It means that individuals enrolled in the program can use their funds to purchase these shears for their first aid kits, EDC, and bug-out bags. These are a great addition to your survival pack or as a replacement to bulky shears and pointed knives. Take this opportunity to grab your pair of shears and enjoy the benefits of having a medical-grade shear stashed inside your first aid kit. Why wait until the expiration of your FSA when you can get the most out of your dollars by purchasing these Surviveware medical-grade trauma shears. Grab yours today by clicking here.